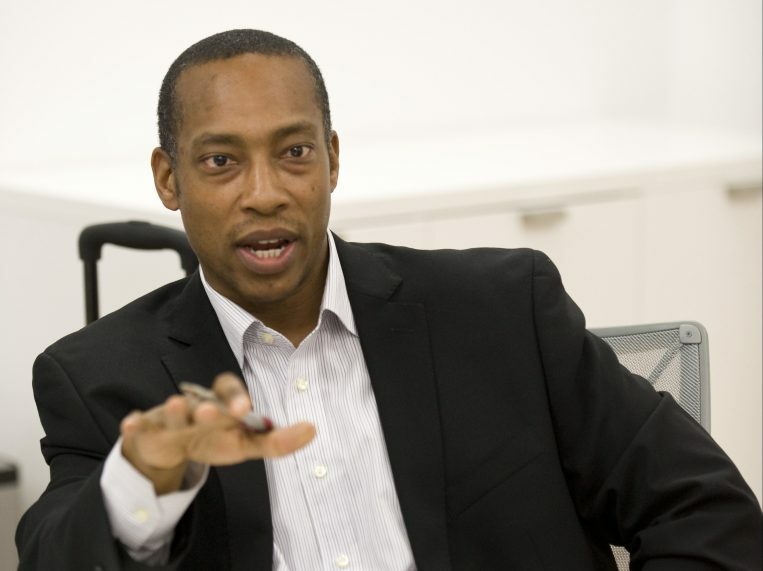 Home » Alderman Mitchell » 7th Ward candidate for alderman: Gregory I. Mitchell by Sun-Times. Who is Gregory I. Mitchell? Gregory Mitchell: 1) Economic Development — In the short term, development of business corridors in my ward including: 71st, 75th, 79th, 83rd and 95th streets. Attract businesses and amenities that the communities lack and can benefit from (Example, a full-service grocery store and sit-down restaurants). Long term goal would be the development of the US Steel South Works Site. 2) Increase home ownership — A focus on home ownership via rehabilitation of existing housing, development of new housing on vacant lots, and a shift from rental housing to home ownership for existing residents. 3) Crime and public safety — The 7th ward includes the 3rd and 4th police districts and while the 4th district, which covers approximately 75% of the 7th ward, has seen major declines in crime in almost every major category year to date. there is still work to be done in approving the quality of life in the 7th ward. Continued and sustained reduction in crime is critical to the other priorities of development in the business corridors and increasing home ownership. Attracting and retaining new businesses and residents is vital to the growth of the 7th ward and reducing crime is key to this. Gregory Mitchell: As Alderman of the 7th ward, Over the past four years, I have focused on bridging the gaps between the 7th Ward and the rest of the city in terms increased services to constituents and investments in my Ward. Over the past 4 years, under my leadership the 7th ward has received investments totally approximately $100 million. Projects in 2018 include (not a complete list): approximately $5.5 million in capital/infrastructure improvements throughout the ward, $3.6 million renovation of Eckersall stadium in South Chicago and $11.8 million renovation of Bouchet International School in South Shore. I have worked closely with the community and the officers and command staff in 3rd and 4th police districts to identify troubled areas in the 7th ward and focused police resources there. The results of this collaboration, using the 4th district as an example, have contributed to a 21.92% decrease in shooting incidents and a 36% decrease in homicides year to date. Overall the 004th district, which covers approximately 75% of the 7th ward, is seeing major drops in crime in almost every major category year to date. During my 1st term as Alderman, I made it a top priority to create a foundation of stability and overall sense of reliability that has been missing in our Ward, given that in 2015 I became the fifth Aldermen over s ten year period. Stability of leadership is needed to earn – and keep – the trust of the community and in creating, sustaining and growing relationships with departments and elected officials on the city, county and state levels so that the tools, resources and investments necessary to grow and improve the quality of life of the residents of the 7th ward can be directed to the ward. Whether it be economic development, or increased public safety, or bringing better services and community investment – the stability that I have worked hard to create is critical to achieving these goals. Gregory Mitchell: I do not feel that the Illinois State Constitution should be amended to reduce pensions for existing city employees or retirees. We have to honor promises that were made to our public service workers. But we all know that there are severe shortfalls in our budget that need to be addressed urgently, so I do think that possible changes to benefits for new/future employees is on the table. We have to be ready and willing to respond to present day situations. Gregory Mitchell: Chicago is at a major turning point, and we need to start thinking outside the box to increase revenue, while at the same time keeping property taxes at current or lower levels. To the specific proposals mentioned, with the exception of raising property taxes, all of these proposed sources should be discussed including an evaluation of the financial and social impacts of each proposed source to the city. Gregory Mitchell: Perhaps have tolls on Interstates upon entering the city that exempt city residents with an IPASS. Enforcement of rules and requirements. Make sure that TIF’s help the areas that are most in need of improvement, i.e. help blighted areas become more vibrant, in fact that is what TIF’s were designed to do in the first place. Ability to utilize TIF funds in areas of the city where needed. For example, in wealthier parts of the city where TIFs have been successful, I think future funds should go to more disadvantaged parts of the city such as on the south and west sides. A comprehensive Development Plan for the whole city. This is of critical importance, in that we need to go beyond the TIF concept itself. With a new Mayor and new city council, we have the opportunity to build a new political will to create a comprehensive development plan that will bring about a greater sense of equality, and increased investment in the economic development City wide. It ties into TIFs but needs to be broader than TIFs — we can’t develop and grow the city without thinking about the entire city; and not just parts that are already doing well. 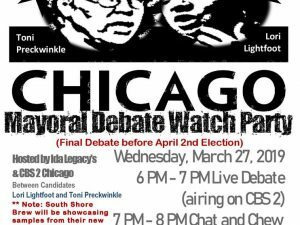 Gregory Mitchell: Aldermen definitely need to use their power responsibly, but at the same time we do need the appropriate authority and tools to get things accomplished in our wards. It is about a balance. Aldermanic prerogative is needed in many cases to build up our wards and get our residents the resources they need. For example, when a business wants to open up in a ward, there should be a process where Alderman have a period of time prior to the approval of a business license to discuss with our residents and come to a community agreement whether or not a certain business is a good fit for our ward and advise the Commissioner of BACP accordingly. The 7th ward has been hurt by bad businesses opening up in the ward unbeknownst to the Alderman and the residents. Businesses can open in wards with discussion or support of the Alderman. We absolutely need to rein in abuse and corruption, but shouldn’t have our hands tied as Aldermen either, since we are closest to the community and are the most direct representatives of the neighborhoods. Gregory Mitchell: I believe in accountability and oversight, There must be a balance between rules of engagement between police and citizens and being able to respond to the real time public safety issue of the city. Gregory Mitchell: We should continue the Surrender Gun Sites program. We need to have more oversight over sellers and distributors and push hard against gun trafficking. Chicago should work strategically with the ATF in dealing with these issues. Gregory Mitchell: I think the focus of charter schools should be more on specialized curriculum, i.g., finance (trading and investing), technology, etc. where students can receive introductions to specific careers. Gregory Mitchell: Yes, there is enough affordable housing in my ward. The 7th ward is home of residents from all income levels (earned and unearned). Retirees receiving pensions, social security recipients, sec 8 voucher holders, professionals, middle class, etc. Market rate rental housing in the 7th ward is affordable to all income levels. New homes (rehabbed) is as low as $50 – 100k. To me the problem is more about dealing with a declining population. We need to increase the supply of housing through new development such as utilizing vacant lots. We also need to rehab existing housing and work with banks on financing and encouraging home ownership so that more of my residents can reach the middle class. Gregory Mitchell: I support Chicago continuing to be a Sanctuary City, and I support the Legal Defense fund. I support our City doing it’s part to push back against the Trump Administration’s infringements on the human rights of immigrants. Gregory Mitchell: Yes, I am fine with the idea of oversight but at the same time I don’t think there should be investigations with no clear purpose or scope. If there is a catalyst for an investigation, it should absolutely be looked into with full vigor — but it should not be based on rumors or hunches. Gregory Mitchell: I have not, and I do not current employ staff who has an outside job or contract with the city. Gregory Mitchell: As a first term Alderman, I have consistently sought the advice of veteran Aldermen to learn from their experiences to help me navigate the system and best serve my constituents. There is no handbook on how to be an Alderman, so many of my learning has been “baptism by fire”. To me, it is not so much “modeling” after someone, as it is about learning from them to get things done in my ward. Listening to the ideas, experiences and advice from veteran Aldermen, from of all corners of the City has shortened my learning curve. SkyArt Annual Benefit at DuSable.